Let me provide some minor clarifications for those who had questions about me and my blog. Yes, I have celiac disease, diagnosed 2.5 years ago but probably sick for 3 years before; getting worse until the docs started seriously looking for a cause. And yes, I had it as a kid; why I always had a tummy ache, couldn’t get to sleep, couldn’t gain any wait, thin as a rail and very anxious. Bunch of other symptoms we won’t mention here for brevity’s sake. Illness disappeared by age 18 (no one could figure that one out back then) and did not return until serious stress about 5 years ago. This is not that uncommon with childhood celiac. I do have one person in my family who has celiac, rest claim not. I have my doubts. It does run in families. I wish they would all get tested. I never ever post recipes that I haven’t made myself. Most recipes are versions of ones I have found in cookbooks or on line say at foodnetwork.com. I seldom make a recipe exactly as it originally is. I am a collector of cookbooks but I have gotten rid of a lot of baking ones. They made me sad. I have several new gf ones I am fond of. I eat lots of vegetables and fruits: adore them but not fond of creamed corn, stewed tomatoes or succotash. Love potatoes, pasta and some beans. I do eat some sort of meat protein most days but completely enjoy a well crafted vegetarian entree. I am not fond of raw proteins. Nope. Nor organ meats or wild critters like rabbit or snake. Not tried alligator yet. Love elk, or deer and accept all donations of excess frozen venison. 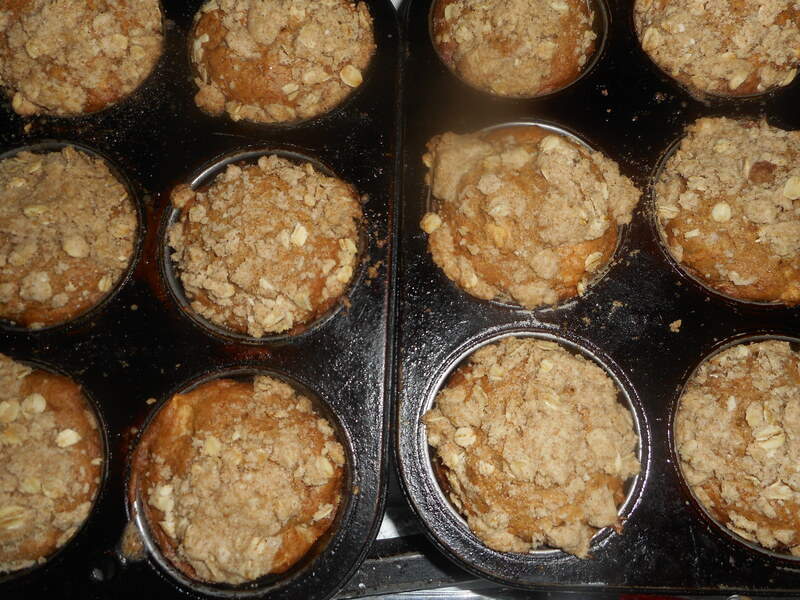 And yes, I love baking pies and muffins….made some apple muffins last night! Love cooking, love sharing food, love sharing recipes, that’s me. Enjoy writing an awful lot; gives me a real rush to share my own posts. I do this for that joyful moment when I push the publish button. I hope I help educate those without celiac and give food/meal ideas to those who cook for someone with celiac. Cooking should be fun as well as creative. Substituting stuff for things you don’t have is okay! Being celiac is a challenge, not a death sentence. I eat great and feel fantastic and I think that shows in many areas of my life. My motto is Cook, Eat, Love and Write. I cook so you have something great to eat! Yes, you love to cook and as a recipient of your delicious food, I concur that you are a very good cook. Looking forward to seeing you and your crew.